On Saturday, March 2, 2019, the Arizona Broadway Theatre (ABT) community gathered to celebrate The Sixth Annual Broadway Ball, raising more than $135,000 to benefit the nonprofit theatre and its artistic, educational, and charitable programs. 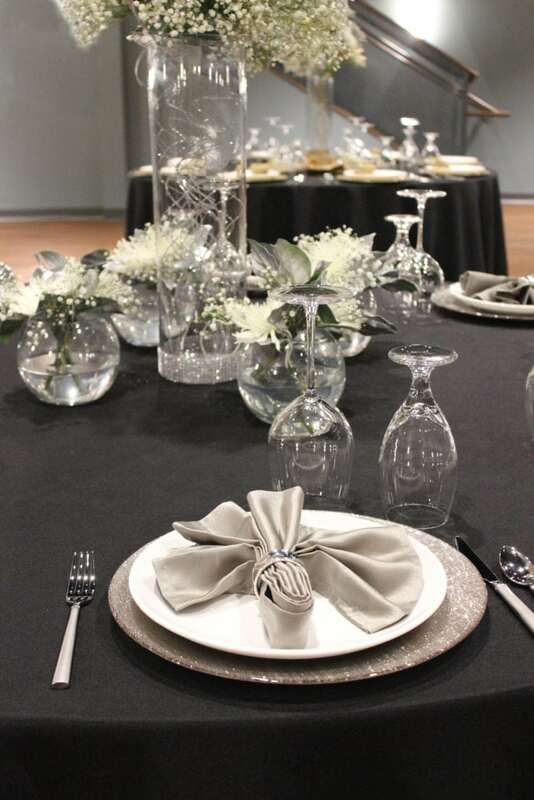 More than 250 guests turned out for the elegant event, co-chaired by Lisa Platt and Kristin Wurr. The evening included a cocktail hour, three-course dinner, silent and live auctions, the Broadway Ball Wine Pull, and the popular Gift Card “Frenzy.” From the stage, Kiel and Cassandra Klaphake, ABT’s co-founders, spoke about the power of the performing arts and the importance of accessible artistic opportunities for community members of all ages. Since 2005, ABT has been delivering professional musical theatre entertainment through its Broadway-style Mainstage productions. In addition, the theatre’s programs for children encourage all arts-minded area youth to take advantage of artistic opportunities and experiences at ABT, regardless of their ability to pay. ABT’s new teen performance troupe, HyRev, entertained the Broadway Ball audience with an emotional rendition of “You Will Be Found” from the Tony award-winning Broadway musical DEAR EVAN HANSEN. Live entertainment also featured a performance of “I’ve Got Rhythm” from the Mainstage production of AN AMERICAN IN PARIS and a scene from ABT’s Theatre for Young Audiences production of THE PRINCESS AND THE PEA. Guests ended the night dancing to the music of AbbaFab, courtesy of event sponsor TAD Management. Other event sponsors included Arrowhead Cadillac, the Arizona Coyotes Foundation, TC Schuttler, Renew Dental, and Low Mountain Construction. Table sponsors included Blondie Wolfe & Associates, Home Instead Senior Care of Surprise, City of Peoria Mayor Pro Tem Vicki Hunt, Senior Support Solutions, Setterberg Jewelers, Sysco Arizona, West Valley Symphony, West Valley Women, and several individual sponsors. Arizona Broadway Theatre, Arizona’s leader in musical theatre and the Valley of the Sun’s highest attended live theatrical venue, opened its doors in 2005 and has grown to be a nationally recognized producer of Musical Theatre – drawing top talent to the Valley of the Sun from New York City and from the vast pool of exceptional talent here in Arizona. Through its Mainstage shows, Theatre for Young Audiences, and Academy for Young Performers programs, as well as through special events and banquet bookings, ABT has seen more than 900 thousand patrons pass through its doors. For more information about the Arizona Broadway Theatre or The Broadway Ball, please call the Arizona Broadway Theatre Development Office at 623.707.8842. 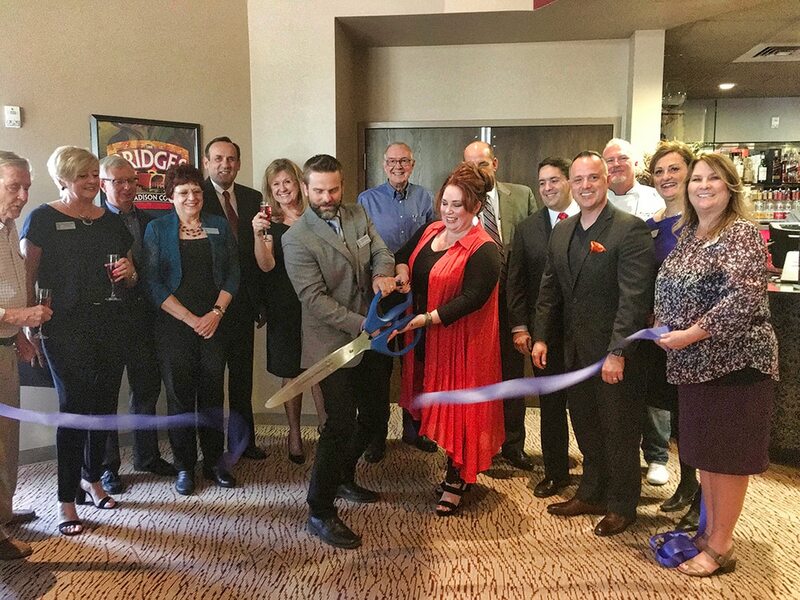 PEORIA, ARIZONA: Arizona Broadway Theatre (ABT), Arizona’s Leader in Musical Theatre and the Valley of the Sun’s highest attended LIVE theatrical venue, cut the ribbon on the newly expanded Encore Room on March 23, 2018. The space went from a small 1,000sf meeting room to a 6,000sf hi-tech multi-media performance, banquet, and conference space. By more than doubling the existing footprint, ABT is able to offer Valley arts enthusiasts a more diverse and varied roster of shows, concerts, guest artists, and special events as well as provide much-needed banquet, conference, and seminar meeting space for West Valley businesses, associations, and organizations. In the 12 years since opening its doors in the Phoenix market on November 5, 2005, ABT has grown to be a nationally recognized producer of Musical Theatre – drawing top talent to the Valley of The Sun from New York City and from the vast pool of exceptional talent here in Arizona. Through its Mainstage shows, Theatre for Young Audiences, and Academy for Young Performers programs, as well as through special events and banquet bookings, ABT has seen over 900 thousand patrons pass through its doors. The first ABT program to take advantage of the new space will be a concert and talkback with Tony Award-winning Broadway composer Jason Robert Brown on May 7. Jason’s appearance at ABT will coincide with ABT’s production of his 2013 Tony Award-winning Broadway hit, The Bridges of Madison County, on stage at the Theatre April 13 – May 13, 2018. The evening will include a performance of selections from Jason’s extensive repertoire, performances by members of ABT’s cast of The Bridges of Madison County, and a talk-back with the composer and audience moderated by the host of ABC15’s Sonoran Living, Susan Casper. For more information about this performance, please contact ABT’s Box Office at 623-776-8400 x0. 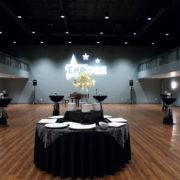 For information on rental of the Encore Room, please contact Diane Hetrick at 623-776-8400 x104 or diane@azbroadway.org. Arizona Broadway Theatre (ABT), the Valley leader in musical theatre, hosted its Fourth Annual Broadway Ball on March 4, 2017, raising more than $100,000 for the nonprofit performing arts organization. The formal event was attended by arts-minded donors and supporters and sponsored by some of the West Valley’s leading names in philanthropic support including Season 12 and “Times Square” level event sponsor Arrowhead Cadillac and “Tony Award” level sponsor TC Schuttler. Other sponsors included the Arizona Coyotes Foundation, Arrowhead Dermatology and the Honorable Cathy Carlat, Mayor of the City of Peoria. Ball guests enjoyed a cocktail hour in the theatre’s lobby followed by a three-course meal created by ABT Executive Chef Erik Angelo. Silent and live auctions, raffle opportunities and a wine pull offered friendly rivalry among guests. The live auction featured unique experiences including cooking classes in the ABT kitchen, a Disney’s Beauty and the Beast birthday party for 12 during ABT’s production of the show and a “Queen + Adam Lambert” rock ‘n’ roll experience for six. Members of the all-volunteer Broadway Ball committee, led by co-chairs Sharon Jarnagin and Michele Meewes, were on hand to welcome guests and oversee the successful event. Kiel and Cassandra Klaphake, Producers and Co-founders of the Arizona Broadway Theatre, spoke on behalf of the organization and introduced live entertainment representative of ABT’s Mainstage and children’s programming including previews of Jesus Christ Superstar and Man of La Mancha. The evening brought attention to the impact ABT has had on residents and visitors to the Valley of the Sun for nearly 12 years as one of Arizona’s premiere performing arts destinations. The date of the Fifth Annual Broadway Ball has been tentatively set for Saturday, March 3, 2018. For more information about ABT and The Broadway Ball, please call the ABT Development Office at (623) 707-8842 or visit azbroadway.org. Arizona Broadway Theatre (ABT) and Herberger Theater Center (HTC) extend their partnership, announced earlier this year, by co-presenting A Christmas Carol on Center Stage at HTC December 10 – 24. Valley audiences will delight in the opportunity to see this classic tale set to music at their favorite downtown venue by popular West Valley theatre company ABT. Tickets go on sale to the general public on July 16, 2016, at herbergertheater.org. Kiel Klaphake (l) and Mark Mettes (r) celebrate the partnership of ABT and HTC.